On Monday, March 14, 2016, City Manager Richard C. Rossi signed an Executive Order establishing certification requirements for vendors bidding on City contracts. The measure seeks to prevent wage theft, which is the improper withholding of payment from employees and the failure to pay employees according to required schedules. Wage theft most often involves employers paying less than the minimum, contracted, or prevailing wage, not paying for all hours worked, and not paying overtime for hours exceeding 40 per week, but wage theft can take many forms—employers may never send the final paycheck, or may misclassify workers as independent contractors. Under the Executive Order vendors bidding on City contracts will be required to certify their compliance with federal and state wage law with the City, and if the vendors have previous violations, disclose them, and provide a wage bond for the duration of the contract. These measures strengthen the City’s ability to hire vendors that treat their employees fairly. The Executive Order also prohibits City departments from contracting with debarred vendors for the period of their debarment. This will help to ensure that City resources are not used to support those vendors debarred for wage law violations. The Executive Order is effective for all contracts resulting from requests for proposals or invitation for bids that become publically available on or after March 14, 2016. 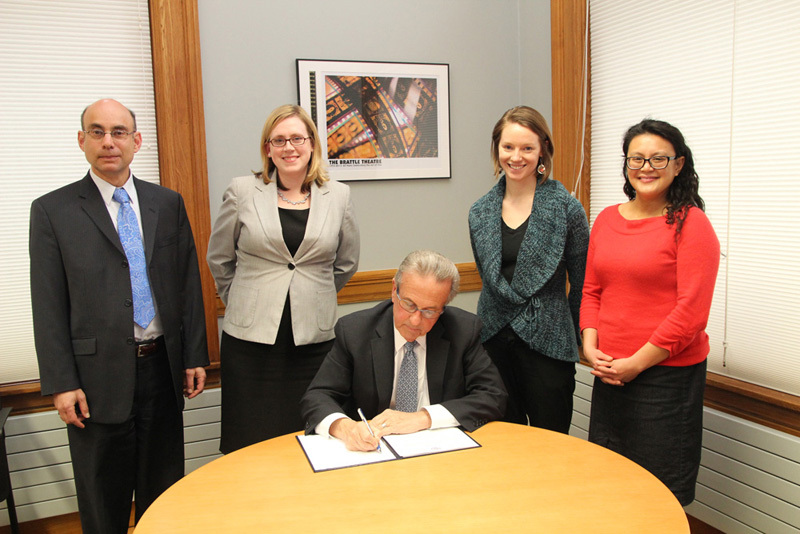 Cambridge joins the City of Boston in requiring this type of certification and wage bond. Mar 14, 2016 – The Cambridge Office of Workforce Development is sponsoring a free Health & Human Services Job Fair Wed, Mar 30, from 11:00am-1:00pm, at Central Square Library, 45 Pearl Street, Cambridge. Take the MBTA Red Line or #1 Bus to Central Square. Prospective job applicants are urged to research companies in advance and apply for positions online. For more information, call 617-349-6259 or email Josh Foley at jfoley@cambridgema.gov. The Special State Primary will be held on Tues, Apr 12, 2016 ONLY in Wards/Precincts 2-2, 2-3, 4-1, 4-3, 5-1, 5-2 & 5-3 for the office of State Senator for Massachusetts First Suffolk & Middlesex Senate District to fill the vacancy caused by the resignation of Senator Anthony Petruccelli. 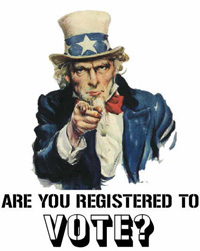 For Cambridge residents not already registered, the last day to register to vote for the election is Wed, Mar 23, 2016 until 8:00pm. The polls will be open on Election Day from 7:00am until 8:00pm. If you are a voter in Wards/Precincts 2-2, 2-3, 4-1, 4-3, 5-1, 5-2 & 5-3, please contact the Cambridge Election Commission office to find out when the Absentee Ballots will be available for the Special State Primary. Any voter who is unable to go to the polls on Election Day due to physical disability, religious belief, or absence from the City may request an Absentee Ballot from the Commission. The deadline to apply for an Absentee Ballot is Monday, April 11, 2016 at noon. Absentee Ballots may be mailed to voters, or such voters may choose to vote at the Commission office during regular city office hours: Monday, 8:30am-8:00pm; Tuesday-Thursday, 8:30am-5:00pm; Friday, 8:30am-Noon. The office will also be open for Absentee Voting on Fri, Apr 8 until 5:00pm. For any additional information, please visit the Cambridge Election Commission office at 51 Inman Street, call (617-349-4361) or visit our website at www.cambridgema.gov/election. Mar 14, 2016 – The City of Cambridge seeks to reduce the number of plastic and paper bags being used, discarded, littered, burned, and buried. 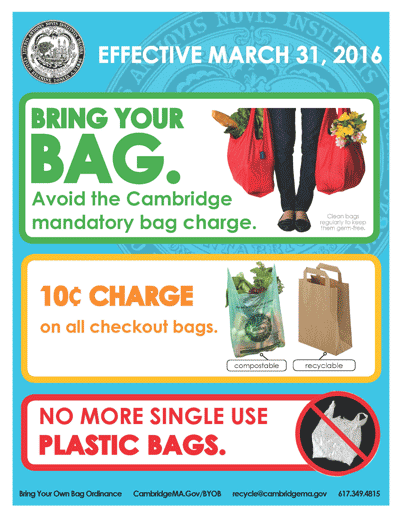 The Bring Your Own Bag (BYOB) Ordinance, effective March 31, 2016, encourages the use of reusable bags at all retail establishments in Cambridge. The purpose of the Ordinance is to reduce the use of disposable checkout bags by retail establishments to protect the marine environment, advance solid waste reduction, reduce greenhouse gas emissions, and protect waterways. The Ordinance seeks to promote the use of reusable checkout bags. Residents may donate reusable bags at City Hall, Public Works, or the North Cambridge Senior Center as part of DPW’s Reusable Bag Drive to help low income and elderly residents receive bags. Bags exempt from the Ordinance include produce bags, laundry, dry-cleaner and newspaper bags, and bags used to wrap meat or frozen foods. Cambridge businesses will no longer be able to provide single-use plastic bags, but may offer paper, reusable, or compostable bags to customers at a minimum cost of $0.10 per bag. Businesses must show this as the “Checkout Bag Charge” on the receipt and collect sales tax on each bag. To avoid this charge, customers are encouraged to bring their own bag when they go shopping, out for food, to the pharmacy, and more. Cambridge Public Works is continuing with successful outreach to businesses to inform and prepare them for the ordinance. Many businesses are excited to implement this ordinance to help the City with its waste reduction goals. Learn more about the BYOB Ordinance and find helpful information for businesses and residents at www.CambridgeMA.gov/BYOB. Mar 14, 2016 – Cambridge residents can now apply for or renew their dog’s license online. State law requires that all dogs over 6 months have a current dog license. The dog license period in Cambridge runs from April 1, 2016 to March 31, 2017. The fee for a dog license for a spayed/neutered dog is $10, or $30 for a dog that is not spayed or neutered. Dog licenses are renewed annually. The fine for an unlicensed dog is $50. For more information visit, www.cambridgema.gov/doglicense. In order to obtain a dog license, owners must have a current rabies vaccination. Dogs can be vaccinated at the veterinarian’s office, at clinics held at some pet stores, or low cost clinics held periodically. The next Rabies Vaccination Clinic in Cambridge will be held Sat, Apr 2, from 9-11am, at the Cambridge Department of Public Works. The fee is $15 per dog. Microchipping is also available for $20. Dog licenses can be a ticket home if your dog is lost since the number on the tag can be traced back to the owner to hopefully help for a safe return. Microchipping can also provide added protection. As with most municipalities, there is a leash law in the City of Cambridge that requires dogs to be on a leash at all times when off the owner’s property. Over the past several years the City of Cambridge has been continually working with residents to explore strategies for dogs to be off leash in city parks and open spaces. There are three approaches taken by the city to meet the demand for off leash space: dedicated off leash areas, shared use off leash areas, and shared use hours. For a list of areas, visit www.cambridgema.gov/offleash. In these off leash areas, dog owners must adhere to certain important regulations. The dog must be under voice control and within sight of the owner/keeper at all times when off leash and the dog must have a current Cambridge Dog License. There are other regulations and it is the responsibility of the person with the dog to be aware of these posted regulations. Additionally, either off leash or on leash, an owner/keeper must carry means for disposal to pick up and dispose of any feces left by the dog. The City of Cambridge does supply dog waste bags in some areas, but the responsibility to have a means of disposal is entirely on the owner/keeper. The materials are available on the web and are scheduled to be discussed at the Planning Board meeting on March 22. The scenic, flat, tree-lined course starts and finishes at the Russell Youth Center, 680 Huron Ave. Two miles into the race, the course runs along the perimeter of the Fresh Pond Reservoir – away from cars and distraction. The chip-timed race has been Race measured and certified by the officials at the U.S.A.T.F. Entry Fee: $30 on or before Saturday, March 19, $35 after. Register online at www.cambridgecityrun.com. Free Short-Sleeve shirt to the first 1,000 pre-entrants. Participants can also register in person at Marathon Sports, 1654 Mass. Ave., Cambridge. On Sunday, April 3, interested participants can register at the event at the Russell Youth Center, 680 Huron Avenue, Cambridge from 8:30am-10:00am. The race and walk will start promptly at 10:30am. RACE ROUTE: Depart from 695 Huron Ave., turn right on Grove, right on Blanchard, right Concord Avenue, right on Fresh Pond Parkway to right into Cambridge Water Department, right onto Fresh Pond Reservoir Loop, right onto Fresh Pond Parkway, right on to Huron Ave.
Monday, April 11, 6-8pm at the Inspectional Services Department, 831 Mass. Ave.
How do I Apply for a Permit for Renovation? When do I Need a Permit for Construction? Should I have a Contract? What Should Contract Include? Pre-registration is required via email to Martha Flynn, mflynn@cambridgema.gov or by calling 617-349-6107. For more information, visit www.cambridgema.gov/inspection. April 17, 2015 – City Manager Richard C. Rossi is pleased to announce the recipients of the 2015 Outstanding City Employee Award. The City Manager will also be presenting a special award in memory and honor of Assistant City Manager Brian Murphy to a person who is committed to making government improve the lives of others. Recipients will be honored at a ceremony on Friday, May 1, 2015, at 9:30am, in the Sullivan Chamber at City Hall, for their superior performance, positive attitude, hard work and dedication to public service. All are welcome to attend. April 7, 2015 – As part of Cities United for Immigration Action, Mayor David P. Maher and City Manager Richard C. Rossi announced that Cambridge has joined 73 cities and counties to file a new friend-of-the-court brief in the Fifth Circuit Court of Appeals in the Texas vs. United States lawsuit, urging immediate implementation of President Obama’s executive actions on immigration. The brief demonstrates robust support from the country’s largest cities – as well as its suburbs and rural areas – for the President’s reforms, which will provide temporary relief from deportation to immigrants with longstanding ties to the U.S. who pass a background check and meet other criteria. The cities and counties – representing 43 million people across the country – argue that the district court judge who temporarily blocked implementation of the programs failed to consider the significant harms to America’s local governments caused by this delay. The brief more than doubles the number of local governments that had previously voiced opposition to the lawsuit brought by states seeking to block President Obama’s immigration reform efforts. 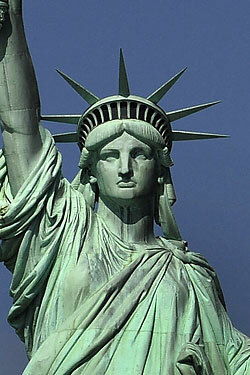 As part of Cities United for Immigration Action, New York City Mayor Bill de Blasio and Los Angeles Mayor Eric Garcetti led the effort to organize more than 70 cities and counties, the National League of Cities, and the U.S. Conference of Mayors in arguing that the national public interest is served clearly and overwhelmingly by implementing immigration relief by executive action without delay. The brief also argues that the District Court judge’s decision to block executive action with a preliminary injunction is bad for the economy, hurts families, threatens law enforcement priorities, and will stall desperately needed changes to the federal government’s immigration policies. Explore the work of over 100 visual and performing artists over one vibrant weekend! Celebrate the special women in your life with a memorable mother’s day weekend celebration of the visual and performing arts in Cambridge. Discover exceptional works of art and find unique presents to wrap up for mom. New this year, performing artists are paired with visual artists for engaging and intimate performances in studios and common venues throughout the city. Visit cambridgeartscouncil.org/openstudios to plan your visit! 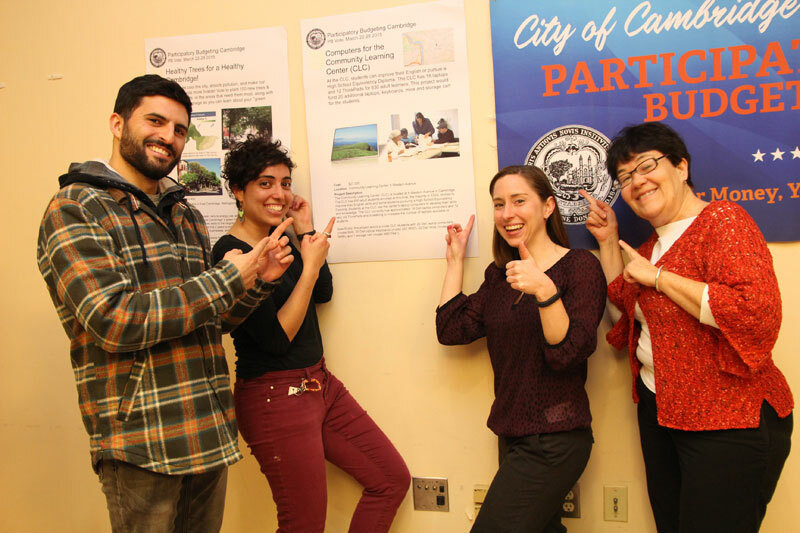 April 7, 2015 – During a Vote Results Party April 7 at the Citywide Senior Center, City officials, along with Budget and Finance staff, announced the winning projects of the Cambridge’s first ever Participatory Budgeting (PB) process. Launched in the fall, PB enabled residents to directly decide how to spend $500,000 of the FY16 Capital Budget. Over 380 ideas for projects to improve Cambridge were submitted. From January to March, 40 volunteer Budget Delegates prioritized and developed those ideas into 20 concrete project proposals to be placed on a ballot for the community to vote on. Over 2,700 Cambridge residents age 12 and older voted online and at events around town to decide which projects the City should fund. The above projects totaling $527,400 will be implemented as part of the City of Cambridge FY16 Capital Budget. Many thanks to the PB Cambridge Steering Committee, the Budget Delegates, the Participatory Budgeting Project, City staff, the Stanford Crowdsourced Democracy Team, and all of the volunteers and participants who helped make this pilot initiative a great success! Want to get involved? We’re launching the second round of Participatory Budgeting this summer. Find out more at www.cambridgema.gov/yourbudget. 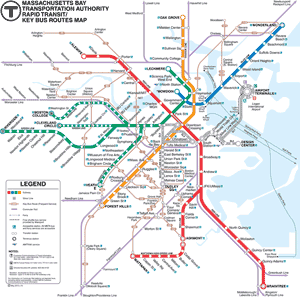 April 13, 2015 – City Manager Richard C. Rossi is seeking members for the Transit Advisory Committee, which works to advance an agenda for a robust public transportation system for those who live and work in Cambridge. The committee is composed of a cross section of stakeholders that advise on city positions and policies regarding long term sustainable funding for transit by the Commonwealth, transit expansion, service planning, and service improvements. Meetings are held on the first Wednesday of each month, from 5:30-7:30pm, at the Citywide Senior Center, 806 Mass. 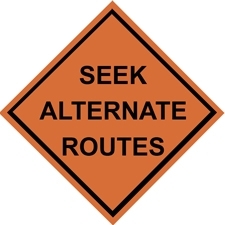 Ave.
On Tuesday, April 21, the city’s contractor, Newport Construction, will begin roadway and sidewalk reconstruction on Main St between Ames St and Wadsworth. The road work is expected to take about 1 month to complete, while the sidewalk work will be ongoing throughout the spring and summer. During the road work phase, Main St will function as a one way. While crews reconstruct the eastbound lanes, only westbound traffic on Main St will be permitted. When crews switch to the westbound side, only eastbound traffic will be permitted. MBTA, trolley and EZ Ride stops may be adjusted during the road work. Please check signs for temporary stop locations. Starting Tuesday, April 21, crews will mobilize on Main St to begin roadway reconstruction. Work will begin on the eastbound side first (2 weeks), and then switch to the westbound side (2 weeks). Additionally, starting on April 21, crews will begin sidewalk reconstruction on the north (Marriott) side of Main St (2 months), followed by the south side (2 months). We will continue to provide updates as the construction progresses. During the road work phase, Main St will function as a one way. While crews reconstruct the eastbound lanes, only westbound traffic on Main St will be permitted. When crews switch to the westbound side, only eastbound traffic will be permitted. MBTA Bus, shuttle and trolley stops on Main St may be adjusted during roadway reconstruction. Please check signs for temporary stops. “No Parking” signs will be posted; please be sure to check dates/times. Emergency vehicles will have access at all times. Additional information and project plans are available online at: www.cambridgema.gov/theworks/cityprojects.aspx, under Main Street Reconstruction Project. April 9 – Connect Kendall Square Open Space Competition The City of Cambridge is pleased to announce the selection of Somerville based Richard Burck Associates as the winner of the Connect Kendall Square Open Space Planning Competition. Richard Burck Associates was chosen by a six member jury after the culmination of a three stage process spanning eight months. Four teams of finalists were charged with developing an open space plan framework guided by a vision and planning and design goals identified through a robust public process spearheaded by the City and the Eastern Cambridge and Kendall Square Open Space (ECKOS) Study Committee. The goals included promoting complementary uniqueness, establishing activations strategies, building an identity, and elevating the user experience. The teams presented their framework plans to the competition jury and the general public on March 25-26, 2015. The competition, sponsored by the City’s Community Development Department, was a unique opportunity to develop a plan to implement the vision for the entire open space network in Kendall Square and eastern Cambridge and vicinity. 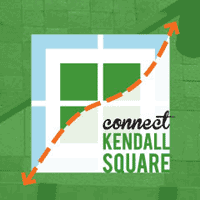 Launched July 2014, Connect Kendall Square was a departure from more traditional planning processes, and even unique among competition formats. The competition generated creative ideas and thinking on strategies to use open space and the public realm to better connect Kendall Square to surrounding neighborhoods, and also create a sense of place and identity. The winning framework plan will serve as a means of informing park designs, the character and role of both public and private open spaces in the area, and even decisions regarding infrastructure, city policy and future development. The framework plan presented by Richard Burck Associates is structured on better connecting the Charles River to Kendall Square, and then better connecting Kendall Square to its surrounding parks, neighborhoods and MIT. This layered effort encompasses organizing new urban form to feature open space connectedness, connecting a series of sustainable storm water strategies, and developing strong pedestrian connections throughout the project area. This "dendritic" pattern overlaid on Kendall Square describes circulation moving in an increasing concentrated way to the Charles River. It’s a pattern with historic roots rich with interpretive possibilities in connecting Kendall Square today. The competition jury consisted of Ethan Carr, PhD, FASLA, professor of landscape architecture at University of Massachusetts, Amherst; Candace Damon, Vice Chairman of HR&A Advisors, Inc.; Robin Moore, professor of landscape architecture and Director, Natural Learning Initiative, NC State University; Inga Saffron, architecture critic for the Philadelphia Inquirer; Michael Singer, artist and designer; and alternate juror J. Roger Boothe, former Director of Urban Design for the City of Cambridge. More information about the Jury’s selection and evaluation is available in the Jury Report. For more information, visit the project page or competition website, or contact Taha Jennings at tjennings@cambridgema.gov or 617-349-4302. April 9 – This notice is required by the Massachusetts Department of Environmental Protection (DEP) as an annual update on the progress of Combined Sewer Overflow (CSO) control measures that are underway to improve the water quality of Alewife Brook. Residents with property that lies in the extended 100-year floodplain of Alewife Brook as established and currently in effect by the Federal Emergency Management Agency (FEMA) will receive a direct notice in the mail in mid-April. For more information, please refer to the notice or contact Catherine Daly Woodbury at Public Works at 617-349-4818 or cwoodbury@cambridgema.gov. Capture the rainwater from your roof and store it in a rain barrel for later use in your garden. Purchase a 60-gallon rainwater collection system for $79.00. This offer is valid until May 14th. 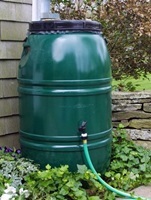 To provide the lowest cost, the company is arranging for a general delivery of the rain barrels on Thursday, May 21st , from 4-7pm, at Cambridge DPW yard, 147 Hampshire Street. If rainwater is not captured and allowed to soak back into the ground, rivers and streams do not have the chance to sustain or "recharge" themselves. By capturing rainwater, you are reducing stormwater runoff, conserving water and recharging the groundwater. A local non-profit agency, Green Cambridge (www.greencambridge.org), is offering to install rain barrels for Cambridge residents free of charge. If you prefer to install them yourself, the rain barrel arrives with simple instructions for fast and easy installation. For more information, to order online and to check out the new design and variety of color options log onto The Great American Rain Barrel Company website: www.greatamericanrainbarrel.com, click on “Shop Local Programs” and select “Cambridge”. You can also order by phone (800-251-2352) toll free when specifying the City of Cambridge promotion. How do Cambridge residents get their local news? What is the correlation between an interest in local news and civic engagement? These are some of the questions Cambridge Community Television hopes to answer as it launches the Cambridge News Survey on September 16, 2014. The survey is an important element of CCTV’s program planning as it focuses on keeping its organization among the leading community media centers in the US. The Cambridge News Survey is available through September 30 online at http://svy.mk/1lF9MFE; hard copies may be filled out at any branch of the Cambridge Public Library, the North Cambridge and Central Square Senior Centers, City Hall, Saint Anthony’s Church and at CCTV in Central Square. Cambridge residents are encouraged to participate, and will be entered into a raffle for a Kindle. Survey results will be published in early November. CCTV is the community media center serving Cambridge. CCTV operates three community cable channels and robust youth media and citizen journalism programs, offers classes in media production and access to equipment and facilities, operates an art gallery, and more. For information, call 617-661-6900 or visit us at cctvcambridge.org.